Young people want action on poverty, hunger and homelessness, according to a new report launched today and compiled by Ireland’s UN youth delegates. Tying the views of young people into the UN’s Sustainable Development goals, the 71-page report captures the priorities of hundreds of young people across the country. The report was launched today in the Department of Foreign Affairs by the Minister for European Affairs, Helen McEntee, and University of Dublin Senator Lynn Ruane. The report, compiled by Ireland’s youth delegates to the UN Lauren Flanagan and Paul Dockery, surveyed 600 people people and included data from consultations at 22 events across the country. 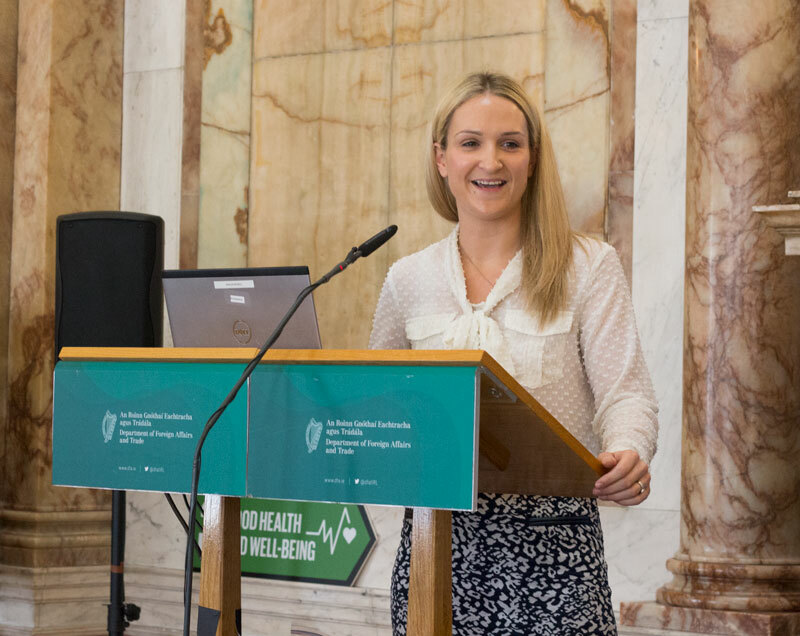 Speaking at the launch, McEntee praised Ireland’s “pivotal” role in the development of the UN Sustainability Goals, which were agreed in 2015 and commit countries to creating a more sustainable world through eradicating poverty, gender equality and developing clean energy. “My engagement with young people showed me the power of young people: your voices, your determination”, she said. Closer to home, young people raised concerns about their own ability to cope with financial pressures on the wages and social welfare payments they receive. Unpaid internships, many said, contribute to this financial strain. Many students also cited food poverty as a major issue in Ireland. “The expense of being a young person living in Ireland just keeps growing and the ability to buy a house, a car or even food for during the week is becoming increasingly difficult”, one young person said. Ruane said it was staggering that in Ireland eradicating hunger is still an issue, stressing the importance of supporting people from disadvantaged backgrounds. “Engaging and empowering them will not only allow them to improve their own communities, but our communities as well”, she said. “The key message this morning is: leaving no one behind”, she said.